Erosion damage can occur when scale particles break loose and subsequently impinge upon other surfaces. It can also occur from silt, corrosion or anything else moving past the surface under high shear conditions. Erosive wear accelerates when protective films deteriorate due to mechanical vibrations, excessive velocity, and suspended solid particles. The loss of material may lead to potentially harmful problems, both physically, with the heat exchanger unit, and in terms of costs and down-time. 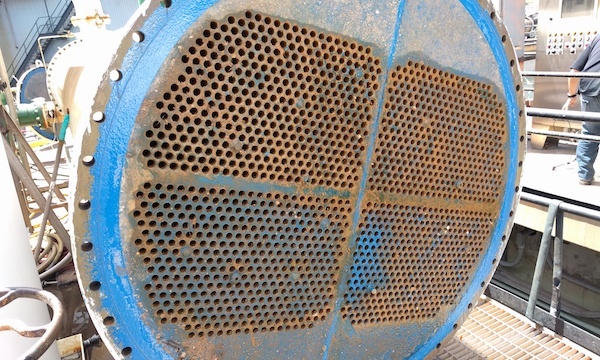 Most heat exchanger erosion problems occur at exchanger entrances and within the chambers of the unit. Erosion is also commonly found where baffles and tubes meet. 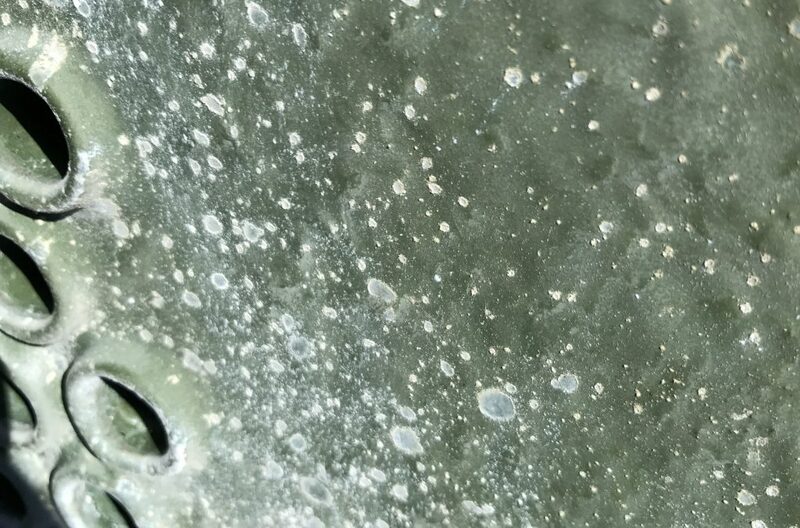 An excess of the manufacturer fluid velocity recommendation on either the shell or tube side of the heat exchanger will likely cause erosion damage as metal wears from the tubing surfaces. If any corrosion is already present on the exchanger, the erosion is accelerated, exposing the underlying metal to further attack without a protective coating. 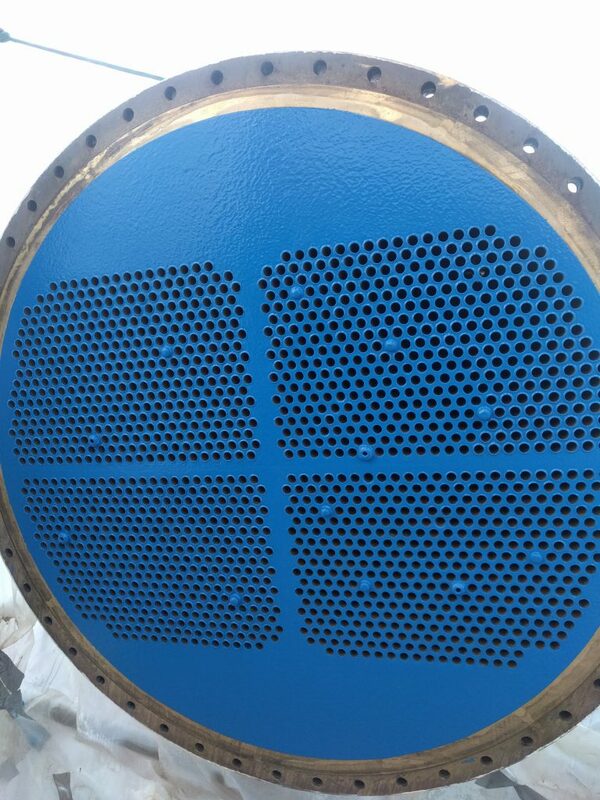 There have been several attempts to use coatings to combat erosion within heat exchangers. However, each coating comes with its own trade-offs in cost, durability, heat transfer performance, etc. HeatX imparts wear and erosion resistance in fluids with particulate contamination. The final resulting surface is inert to both water and oil based liquids. HeatX can be applied to in service exchanger tubes as a part of a refurbishment operation that can remove existing scale and corrosion, and prevent any further damage. HeatX has excellent flow properties, allowing for complete coverage of straight and U-tube configurations to 100% NACE standards. Can be applied in-field, in-place, with a minimum of required equipment downtime, and does not require a pristine/new surface for application.